South Texas College will host its college fair at the Pecan, Mid Valley, and Starr County campuses starting Feb. 19 – 21. 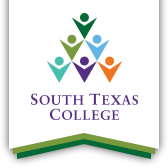 South Texas College will be hosting a three-day college fair at its three main campuses Pecan, Mid Valley, and Starr County Feb. 19 – 21. The Pecan Campus will host its college fair Feb. 19 in Building H from 10 a.m. – 2 p.m. Mid Valley will host its event Feb. 20 in the Building G atrium from 10 a.m. – 2 p.m. Starr County will host its event Feb. 21 in Building H room 1.602 from 10 a.m. – 2 p.m.
An estimated 20 universities will be in attendance at each campus. The purpose of this event is to give students the opportunity to meet with representatives and recruiters from four-year universities. “The college fairs gives students a chance to meet with representatives from various institutions to get information regarding the transfer process: admissions procedures, financial aid, housing, and get any questions that they may have answered,” said Director of the University Relations, Transfer and Articulations Center, Dr. Kelli Davis. For more information regarding the college fair, please contact Cordelia Shotts at 956-872-2659.